I'll try to make the best of it and enjoy Fall. I did start getting some of my indoor Fall Decor out this week. Staying true to my new self... I'm keeping it simple and sticking to my "less is more" motto. Trust me I still have plenty of stuff! But it really has felt good getting rid of some things and purging a bit over the past couple of years. My husband can attest to the multitude of bins of seasonal decor on the shelves in the garage. There is defiantly more to go thru! With Neely's shower and Julies daughters wedding, Jan, Julie, Karen and I haven't been able to get together for a number of weeks now. I'm missing our lunch and craft day! So..... Monday I'm having the girls over and we are just going to visit, catch up, and make some simple Halloween cards. 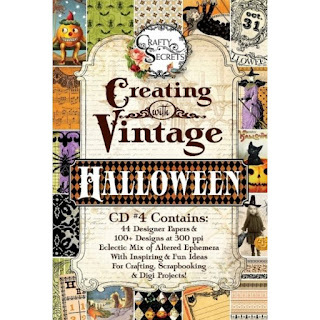 Everything to create these cards (with the exception of the small embellishments and Stickles) is found on this "Creating with Vintage Halloween"CD from Crafty Secrets Heartwarming Vintage. This CD is my favorite of all the CS CD's I think. I love all the papers and images. SO much packed into this CD. I'll be creating more with this between now and Halloween, and I'll also be sharing some things I've created in the past with it. 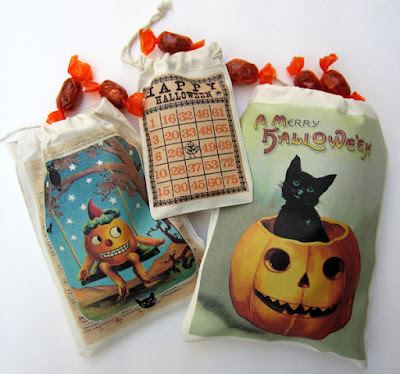 These are little muslin treat bags. I printed the images from the CD off on iron on transfer and ironed them on to the bags. 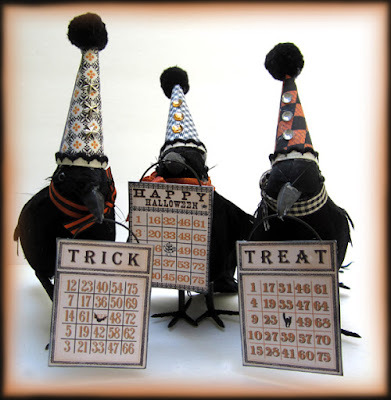 I used the bingo cards and papers to dress up these Dollar Store Crows. The nice thing about having the CD is that you can print off as much or as many as you need. 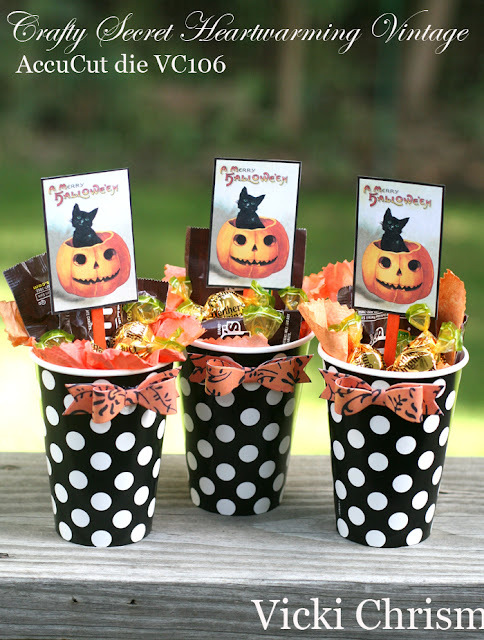 Like for the treat cups I made below. I could print off 3 or 30. Whatever I needed. Good time to share a recipe. 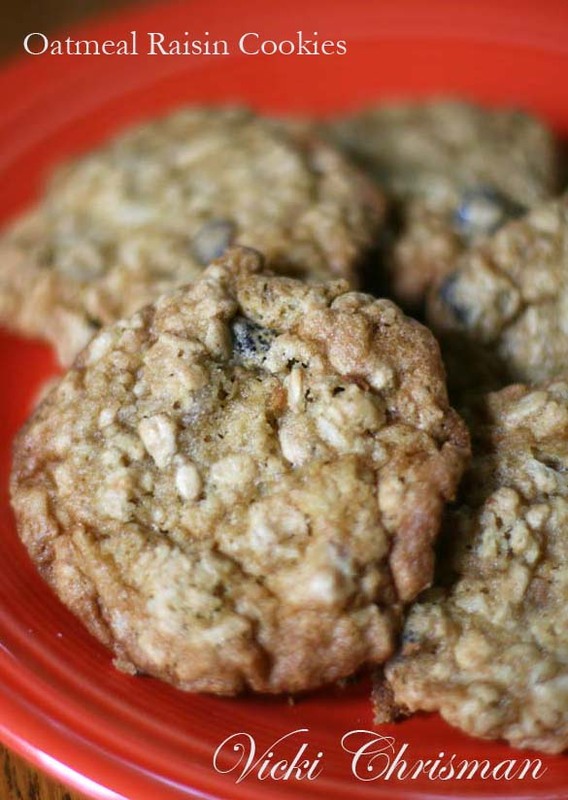 This is my favorite Oatmeal Cookie. If you don't like raisins or walnuts you can certainly just leave them out.. or add chocolate chips. I love both however... so , in they go. These aren't the prettiest to look at, but I guess oatmeal cookies never really are...but they are yummy! If you like soft chewy cookies.. you will love them. And they freeze well. So now it's a race against time to get everything done before it gets cold. lol How does one thing always lead to another? lol But it will be nice when it's done. I try my best when I'm out front with the dogs, not to get them go into the tree line that surrounds the house. 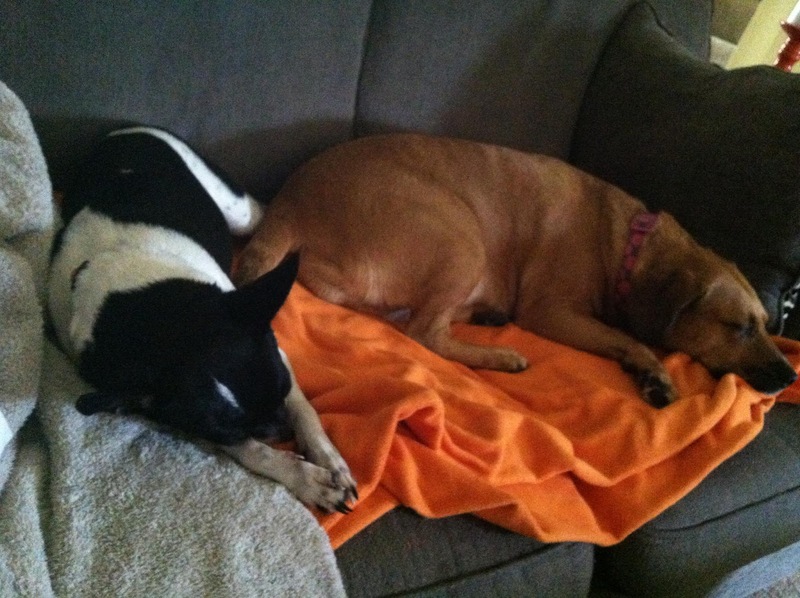 Main reason.... there is Poison Ivy and Poison Oak out there and I have learned the hard way that if the dogs get the oils on their coat.. it easily transfers to you. Which is how I get it most every Summer I'm sure. I thought I had skimmed by this year.. but it seems not. I have it on the back of my leg. Hoping the cream I had left over does the trick! The itching is ridiculous! Singing that song Vic.........love the cards and the deck will be nice but I too am ginding I don't have the stamina that I used to have. Embracing Fall! Hello Vic, Gosh, what wonderful projects. Your Halloween creations are my very favorite. I especially LOVE those bags. So darn cute. What fun to have your deck and it will be no time before you are sitting there watching all the leaves fall.....or maybe watching out the window at falling snowflakes. Time truly escapes us, and is too fast. I read your posts, see your Insta and FB., and often do not take the time to say hello...but I do think of you always. Enjoy the weekend, and all your creating. What cute Halloween cards Vicki, love the way you added the layers and different papers you used! Plus thanks for sharing the other Halloween stuff from the past. I need to pin this post on the Halloween CD folder. I always love everything you create but especially your Halloween stuff... okay also anything birdy or kitchen you create as well! Your new deck will be great, it looks so much bigger. These are so darn cute! I hope it's OK for me to share this on the blog....I'd love to do a Halloween post, and these projects are just so dandy. You are a clever gal! You'll love your new deck...how exciting! You'll have to get a fire pit so you can sit out there on chilly fall days, drink hot cider and enjoy! Hugs! 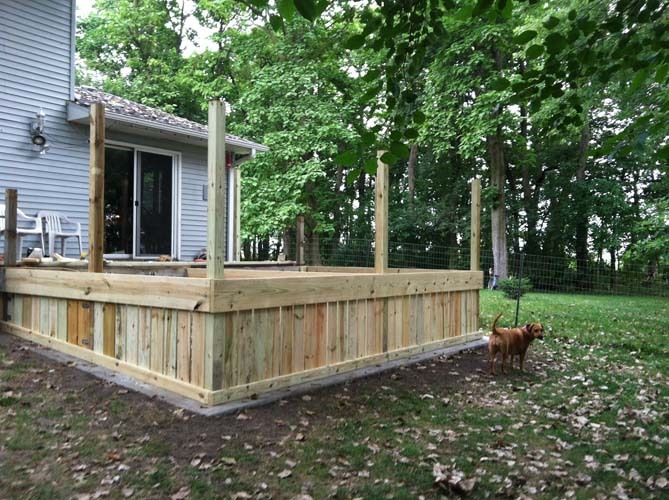 Love your pups, Ms. Vicki and the new deck looks AMAZING! I too dread winter and having to go out for groceries when it's cold and slippery out. Your cards and projects are always terrific. You inspire me allll the time!